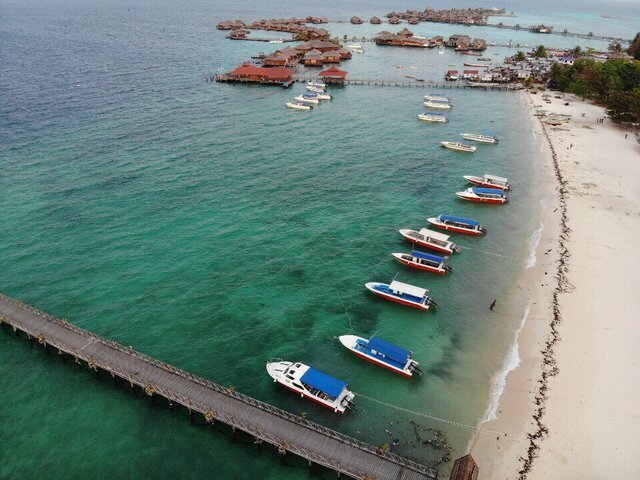 Mabul, Malaysia: From The SkysteemCreated with Sketch. I’ve said it once and I’ll say it again; Malaysia is absolutely stunning! Here’s a shot quickly taken on the coast of the Malaysian island of Mabul, just off Borneo. The water is beautifully clear, the people friendly and the atmosphere relaxed.